Today’s tournament is cancelled due to rain. Someday we’ll get to play for a few days in a row. Just not this week. Practice is cancelled for this evening. Assuming the fields are in shape, we’ll meet again next on Sunday in Cumberland. Due to the deluge of rain set to hit later tonight, tomorrow’s scheduled tournament at the Cumberland Fairgrounds has been moved to Sunday, weather permitting. Check email, this website, and the team schedule for updates. Please RSVP for your child for Sunday with Coach Shea if you have not already. I’m going to watch the weather in the next few hours before deciding if tonight’s practice will be on. I will make the final call on that no later than 5pm. If you have a uniform from last year that you can lend out per my email request, please bring it to tonight’s practice. The fields are still too soggy to play on, so tonight’s practice is also cancelled. A sodden trifecta of weather disruption this week! For homework, make sure you watch the game shared in the previous post. CANCELLED, again. Soggy fields, no practice tonight. 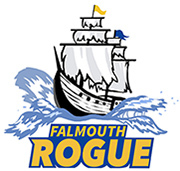 We got word about an hour ago— due to two inches of rain over the last couple of days, all Falmouth sports fields are shut down this evening. No practice.